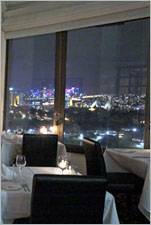 Altitude Restaurant, Shangri-la Hotel, 176 Cumberland St, Sydney 2000. +61 2 9250 6123. Mon to Sat 6pm-10.30pm. Magnificent rooftop views. Ask for a window table when booking. Closed on Sundays and Public Holidays. Blu Bar, Level 36, Shangri-La Hotel, 176 Cumberland St, Sydney, NSW 2000. +61 2 9250 6123. Truly amazing! Get here early enough and you've got a good chance of getting a window seat for one of the best bird's-eye views of the harbour bridge. Mon to Sat 5pm-late. Sun 5pm-late. The Glenmore, 96 Cumberland St, The Rocks, Sydney 2000. +61 2 9247 4794. Rooftop Terrace Bar, Pub Metro, 1 Bridge St, Sydney 2000. +61 02 8243 3600. The terrace has a retractable awning, which covers the outdoor area. On the cooler nights you will stay warm with our infrared heaters, which warm up the entire terrace. Club InterContinental Lounge, 117 Macquarie St, Sydney 2000. 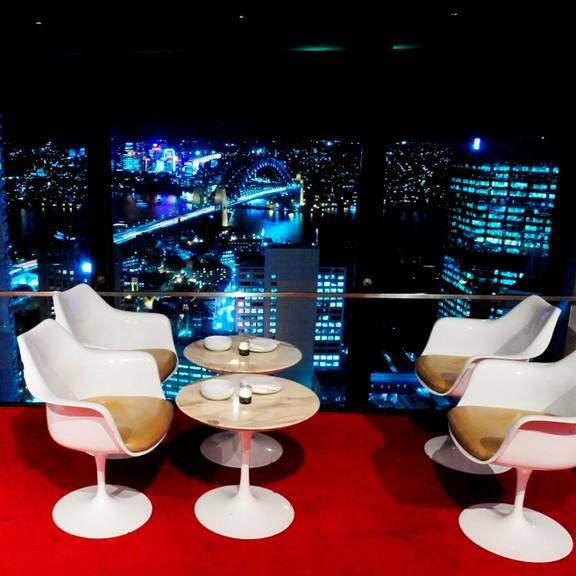 +61 2 9253 9000 Lounge located on the spectacular rooftop of the hotel and giving panoramic views across iconic Sydney Harbour. Buena Vista Cafe, Level 14, Law Courts Building, Queens Square, 184 Phillip Street, Sydney 2000. +61 2 9239 8221. At Macquarie St. Panoramic views. Mon to Fri 7am-4.30pm. Hotel Sweeneys, Cnr Druitt & 236 Clarence Sts, Sydney 2000. +61 2 9267 1796. Hotel Sweeney's Rooftop Bar. Market City Tavern, Level 1, Market City, 9-13 Hay Street, Haymarket, NSW 2000. +61 2 9211 8886. Large smoking terrace with large outdoor TV. Fri to Wed 10am- 7pm. Thurs 10am-8pm. Pyrmont Bridge Hotel, 96 Union Street, Pyrmont, Sydney, NSW 2009. +61 2 9660 6996. The 25th Floor Restaurant and Cocktail Bar, Bayview Boulevarde Hotel, 90 William St, Sydney, NSW 2010. +61 2 9383 7222. Million dollar view. +61 2 9250 6123. East Sydney area. Corridor @ Newtown, 53A King Street, Newtown, Sydney, NSW 2042. 0422 873 879. Lord Roberts Hotel, Cnr Riley St & Stanley St, East Sydney, NSW 2010. +61 2 9331 1326. Rooftop beer garden dining. 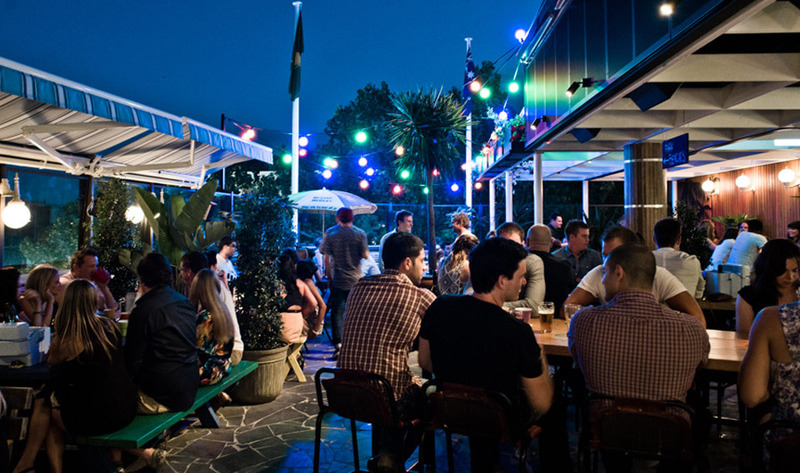 Sweethearts Rooftop, 33-37 Darlinghurst Rd, Potts Point 2011 +61 2 9368 7333 Mon to Thurs 4pm-12am. Fri to Sun 12 noon-12 midnight. Sugarmill, 33-35 Darlinghurst Road, Kings Cross, Sydney, NSW 2011. +61 2 9368 7333 Daily 10am to at least 5am, 364 days a year (all except Christmas). Rooftop Garden, East Village, 234 Palmer St, East Sydney 2010. +61 2 9331 5457 Offering a spectacular view out over Sydney. Functions friendly. Gaslight Inn, 278 Crown Street, Darlinghurst, Sydney 2010. +61 2 9360 6746. Small beer garden upstairs. The Rooftop Terrace, the Storrier Hotel, Potts Point, Also houses Red Belly restaurant. Enjoy the views of Sydney harbour and world famous vistas. Moncur Terrace Rooftop, Woollahra Hotel, 116 Queen St, Woollahra, Sydney 2025. +61 2 9327 9777. El Topo Rooftop @ Bondi Junction, Level 3, The Eastern Hotel, 500 Oxford Street, Bondi Junction, +61 2 8383 5959 Tues to Thurs Bar open 4pm till late. Kitchen open 6pm–10 pm. Fri to Sun Bar open 12 Noon till late. Kitchen 12 Noon–3pm & 6pm-10pm. Monday Closed. The Rooftop, Steyne Hotel, 75 The Corso, Manly, Sydney 2095. +61 2 9977 4977. Shore Club, 36-38 South Steyne, Manly, Sydney, 2095. +61 2 9977 6322. Overlooks beach. Cucina Restaurant, 5th floor, Blacktown Workers Club, Blacktown, Sydney. (West). Roof Bar, Level 4, Closed. Skygarden Shopping Centre, 77 Castlereagh St, Sydney 2000. Closed.